After doing a “regular” blog post the other day for the first time in weeks (which as I mentioned in my last Emmett update, felt pretty wonderful to work on; any sense of normal routine feels like a great gift right now), I wanted to check in for a personal update yet again. It’s going to be a while before things are back to where they were here at Bubby and Bean, especially now that Robbie is returning to work and I’ll be mostly tending to Emmett’s care/treatment/appointments on my own, but I do plan on slowly getting semi back on track with slightly more regular posts this month. While it’s not possible to make a lot of advance work commitments right now with how unstable Emmett’s situation remains, I’m going to do my best to keep this space active. Some of our contributors will be writing, I have a small handful of brand partnerships happening, and I’ll be posting some personal updates too. 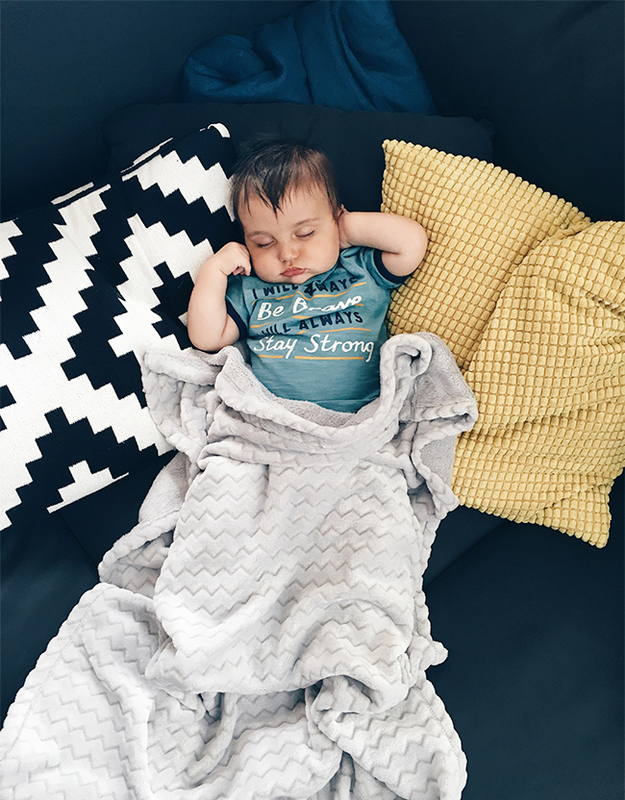 As I said in my last update, this is not a personal blog and I normally keep the majority of my family’s private life off this space – but my family is everything right now, and there’s no avoiding some overflow. I’m mainly checking in today though because I wanted to say thank you. I know I keep talking about how grateful I am for all of you, here and on social media and on my personal Facebook page and in emails and texts and phone calls, but for real, I am so, so grateful. When you are faced with a major life crisis, it’s truly mind blowing to realize how incredible human beings can be. I’ve always known my readers and followers were awesome. I’ve always known my friends and family were awesome. But to read all of your messages and comments and kind words is just wild you guys, in the best of ways. Robbie and I felt very alone in the initial moments of hearing Emmett’s diagnosis, because it’s such a rare disease with such a horrible prognosis for most, but within hours we began to feel the collective embrace of loved ones, and that has just continued to grow over the last few weeks as we’ve shared what’s going on beyond just our inner circle of friends and family. Friends and business associates have sent cards and flowers and food. People have sent healing oils and trinkets to help supplement Emmett’s treatment. Yesterday three of our best friends got together and set up a YouCaring campaign to help with medical expenses. Essley and Emmett have received toys and clothes from friends and family and coworkers. And most importantly, so, so many of you have sent us kind thoughts, good vibes, prayers, and positive energy. There’s a weird sense of insecurity when you’re sharing something like your child’s illness on a public forum, and I avoided it for days. But now I’m so glad I shared because, as I’ve said probably an annoying amount of times now, I truly believe that positive collective energy works. And I believe it has worked you guys. I just know it has. For those who didn’t see the update I added to the last post or on my Instagram, Emmett’s 48 hours EEG showed no abnormal brainwaves and no seizures (meaning that, for now, the medication is working). And at his developmental therapy assessment on Wednesday, we were given a very promising status as well. We have a long, uncertain road ahead of us, but we couldn’t be more grateful for how things are going as of now. Or for how wonderful all of you have been to our family. And one more time, just because – THANK YOU. 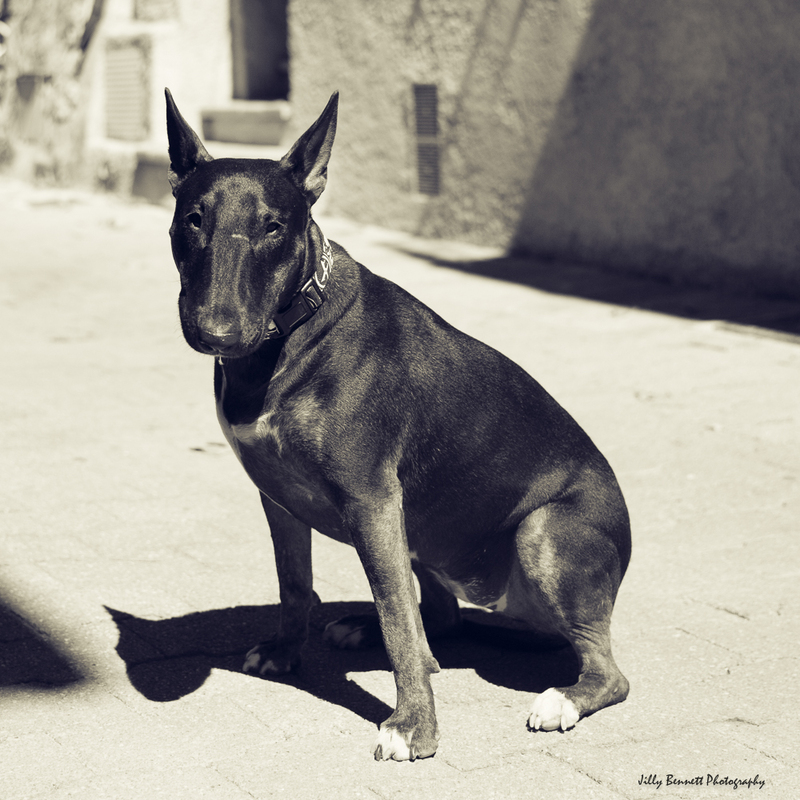 This fierce looking Bull Terrier is actually a real ‘softie’ – I met Hisis in Castellar although she lives in Monaco. She’s three and a half years old. Last night I got to rock out at the last North American stop of the Guns n Roses “Not in This Lifetime” tour. In a moment that made me realize just how old I’ve gotten, I realized the last time they played San Diego- in 1992- I was also there. I was in high school, high on life (and probably a few other things unintentionally, as tended to happen at those arena shows), idealistic about the future. Guns n Roses was the biggest name in rock at the time, at the height of their fame and the zenith of their success. Things fell apart for them shortly thereafter. Axl Rose spent the next two decades litigating with his former bandmates, holed up in a mansion somewhere getting plastic surgery and churning out less than awesome music. While his star faded, the rest of us went on with our lives, going to school and having careers and starting families. You know, growing up. Such is life. The murmurings were nonstop: Axl’s had a ton of plastic surgery. He looks old (hint: he is, as are we all.) His voice isn’t the same. He can’t move his hips the way he did when he was 20. The band still all hates each other. But they went out there anyway, and played a monster three hour set despite the creaky joints and the lower octaves. They came out on time and nailed everything. It was like being back in 1992 except even better because I can legally drink! When’s the last time you sat in a packed stadium arena listening to a power ballad with fireworks onstage and a 10 minute guitar solo? It was before cell phones for sure. And it was awesome. Yes, things changed, but a lot of those changes were for the better. There’s actually something super metal about getting old and refusing to let people stop you from all the stuff you’ve been told you can’t do any longer. About getting up in front of a PACKED stadium with your face looking exactly like what everyone said it would look like and singing about your serpentine with your hips moving exactly two inches in either direction and waiting for the cameras to zoom in on your before flipping everyone the bird- and hearing them all cheer. That takes some brass ones, my friends. In 2012, a reporter asked him if Guns n Roses would ever get back together and he replied, “Not in this lifetime.”And yet here we are, a little older, a little wrinklier, a little wiser, and clutching our Zippo apps that won’t burn your fingers in lieu of the actual lighters. You can change your mind. You can go back. You can embrace what time has changed and laugh about it and refuse to apologize for it and kind of love it. It’s the only way to live, really. I never in a million years would have thought Axl Rose would be doling out inspirational life messages at 54 years of age but I guess I was wrong too. It’s never to late to burn down the house. Guardian angels come in all forms. May yours be watching over you this weekend. Until next time, Good day, and good dog! Related PostsFriday Funny: Too Tired to Help With The DishesFriday Funny: No Worries!Friday Funny: Get Well SoonFriday Funny: Scary VisitorsFriday Funny: Some Guard Dog You Are!Friday Funny: Smart Dog!